Velvet is my dream female from the same kennel like our Jacko. I wanted the future wife for him. My dream came thrue in 2010 and Velvet came to our family. 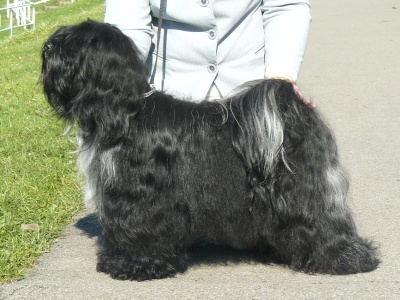 Velvet is black and very elegant female with sweet character and as I wanted the best for our Jacko. Pat, thank you very much!